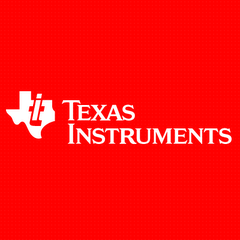 Texas Instruments today unveiled a series of advanced tools in WEBENCH® Power Designer that provide experienced engineers extensive design control, analysis and trouble-shooting capability to create complex power-supply designs. From control-loop compensation to simulation export, WEBENCH Power Designer now puts cutting-edge tools in the hands of expert design engineers to create power supplies for industrial, automotive and communications equipment. For more information or to start a design, visit www.ti.com/advpwr-pr. TI’s cost-free WEBENCH tools have simplified and accelerated the design process for more than 325,000 engineers worldwide since 1999. While still simple to use by both novices or time-pressed engineers to quickly create, optimize and simulate a design, these three new advanced WEBENCH tools offer experienced power-supply design engineers extensive control over complex designs, along with the ease of exporting simulations to computer-aided design (CAD) platforms from Altium and Cadence Design Systems Inc. Watch a video to learn more about the new WEBENCH advanced tools. Crafting a power-supply solution for complex design requirements is an iterative and time-consuming task. New advanced options in WEBENCH Visualizer include a set of easy-to-use controls to specify complex design requirements, such as manufacturability, component constraints and design control. Now engineers can quickly find solutions to accurately match their advanced design requirements. Get more information at www.ti.com/advancedoptions. One of the pitfalls of power supply design is an unstable control loop. The new WEBENCH Compensation Designer tool predicts and automatically corrects errors in the control loop resulting in a stable power-supply design. This quick “fix-it-for-me” feature is a valuable tool for novices or time-pressed engineers. It also offers advanced power experts a manual mode to tune the control loop for more bandwidth and stability in their designs. Get more information at www.ti.com/compensationdesigner. The new WEBENCH Simulation Export tool moves the power-supply schematic into the user’s preferred simulation environment. With just a couple of clicks and no intermediary software, WEBENCH Power Designer quickly exports the complete design to the TINA-TI™ simulator or Altium Designer and Cadence OrCAD and PSpice tools. WEBENCH Simulation Export joins TI’s WEBENCH Schematic Export and PCB Export tools, which enable engineers to create their power supply design and easily download the layout directly to five popular CAD tools. Get more information at www.ti.com/simulationexport. The WEBENCH Designer and Architect tools allow engineers to easily create, simulate and export custom designs. The component libraries include more than 40,000 components from 120 manufacturers. The tools are offered in eight languages and TI’s distribution partners update price and availability hourly for design optimization and production planning. To start a cost-free design, visit TI’s WEBENCH design environment at www.ti.com/webench. Design a complete system with TI’s WEBENCH tools. Ask questions and share knowledge in theWEBENCH Design Center forum in the TI E2E™ Community. Download power reference designs from TI’s PowerLab™ reference design library. Vu 42’’ Full HD Edge LED TV: Let Affordable Luxury Come To Life!